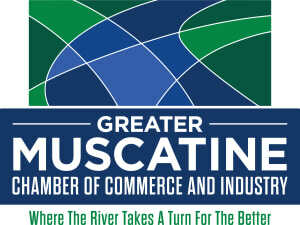 The Muscatine ECI will host a workshop for companies facing challenges finding & retaining employees. · The Department of Corrections will discuss opportunities of adding recently incarcerated individuals who are re-entering the workforce pool. 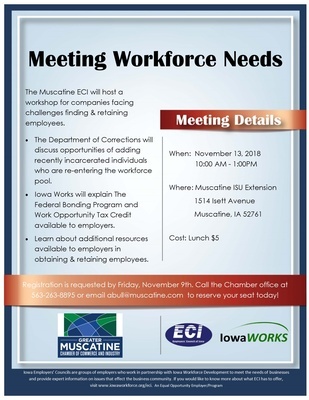 · Iowa Works will explain The Federal Bonding Program and Work Opportunity Tax Credit available to employers. · Learn about additional resources available to employers in obtaining & retaining employees.